This tea is very similar to some medium quality original "Da Hong Pao" oolong. The same materials as with Tieguanyin are used, while the processing as of Wuyi rock teas make this tea very interesting. This is a rare oolong tea from Xianghua village. Clean and fragnant tea soup, nice roasted cocoa flavor, smooth and sweet in mouth with long aftertaste. 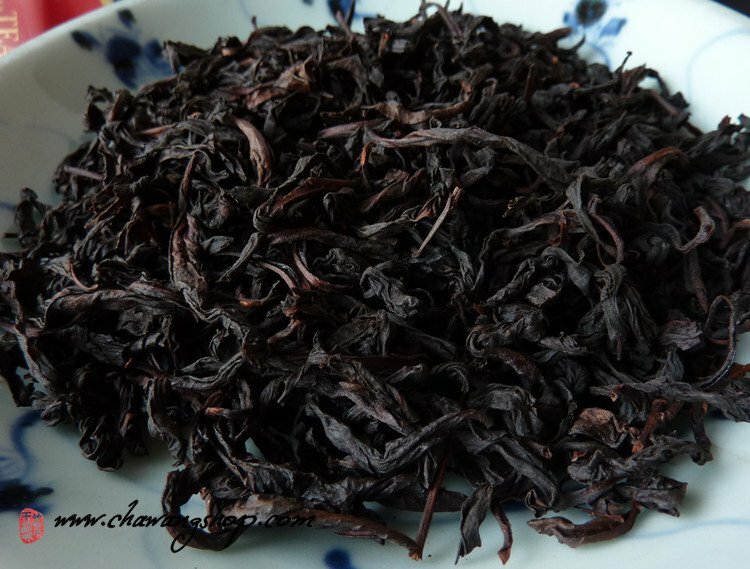 More roasted oolong teas are great after some years and may be stored for a long time.